A national law comes into effect on 1st June 2013, whereby all properties in Spain (both sales and rentals) will require an Energy Performance Certificate. This will affect all properties up for sale or rent in the Spanish market. 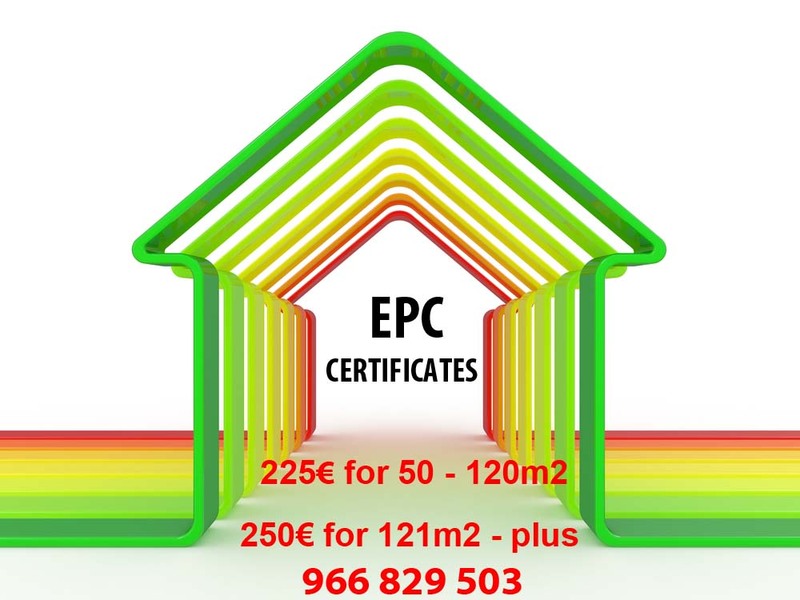 The EPC or Certificado de Eficiencia Energética (CEE) as it is known, must be produced by a qualified assessor. The aim of the regulation is to inform buyers about the efficiency of the property they are buying/renting. An EPC (Energy Performance Certificate) is a document that details the energy efficiency of a building based on the standardised way it is used. The property will be given a rating on a scale of A-G, in relation to its energy efficiency; with "A" the most efficient and "G" the least. A series of recommendations will be given on how to improve the properties energy efficiency and save costs. Outlines of current energy consumption and CO2 emissions will also be given. From 1st June 2013, all properties will require an Energy Performance Certificate when they are marketed for sale or rent. This will apply to both existing and new properties on the market. Who's responsible for the EPC? The property owner will ultimately be responsible in paying for the EPC. Failure to comply with this ruling is an offense under consumer protection law and is punishable according to the General Law on Protection of Consumers and Users and statutory rules. In all likelihood, you will be subject to a heavy fine if you do not get an EPC. How long are they valid for? The certificate will remain valid for 10 years unless any major changes or renovations are made to the property during this period. Direct Owner can offer the best price on the Costa Blanca starting from 225.00 Euros including IVA.